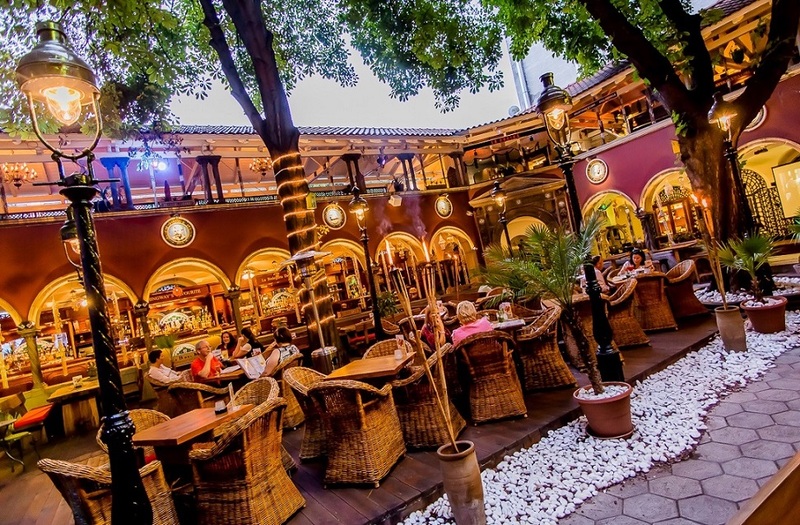 The most beautiful garden of Budapest.. Coming soon..
La Bodeguita del Medio opened in 2012 gives you unforgettable moments due to its special atmosphere. 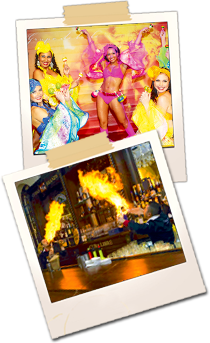 Our authentic cuban band, La Movida plays every night, during the weekends we offer also cuban dance show and bartender flair show. The brand of La Bodeguita del Medio is thanks to its name known all over the world. 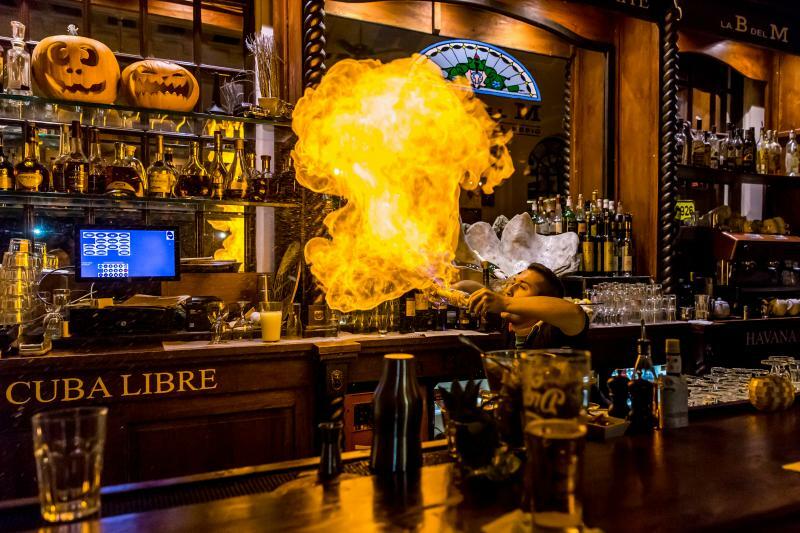 Apart from the original La Bodeguita del Medio in Cuba, Havana, there are another ten restaurants proudly carrying a brand name of La Bodeguita del Medio. They all are officially recognized and acclaimed franchise of the famous cuban La B del M. The brand of La Bodeguita del Medio is mostly spreading all over Mexico. La Bodeguida del Medio is the most famous and traditional cuban restaurant - bar in the world, formely established in a little store in La Habana Vieja (the Old Havana). 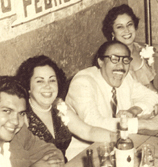 It became a popular place, where many intellectuals used to meet to have an informal lunch or business meetings, where many of them became one of the most important representatives of cuban cultural life of past century, leaving a never-dying historical track. 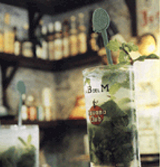 Awarded with lots of prizes and so many domestic and international honors, it is considered to be a „MOJITO Cathedral“, one of the most famous and most-loved drinks all over the world. Located in 207 Empedrado street in Old Havana, a mankind cultural heritage can be, according to saying, found exactly a hundred paving bricks away from Cathedral de la Habana, a monumental artwork of american baroque in Cuba. As you enter the place, you immerse yourself into a delicate scent of fresh mint, such a healing herbal remedy for your digestion, which gives Mojito the immutable taste of the most famous cuban coctail. This is the right place to taste luxurious creole meals while being pulled into the tunes of traditional melodies performed by a local trio. 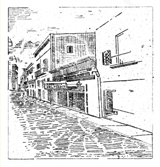 In 1942, Ángel Martínez Borroto, a Cuban, bought this tiny store in Empedrado streed and called it „La Casa Martínez“ (Martínez´s house). Felito Ayón, such a charismatic cuban editor, opened his printing store close to „La Bodeguita del Medio“. Straight after that, his clients learned to go to Martinéz´s place to make phonecalls and enjoy a nice glass of delicate rum at the go. No doubts, La Bodeguita is and always will be representing the „La Bohems´“ lifestyle in Havana. Artists, intellectuals, politics or anyone else will spot a place at La B del M while enjoying a nice walk or Havana´s sightseeing. 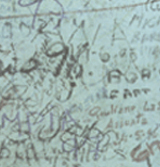 This mysterious little house in a colonial style from the 19th century, appareantly holds one of the oldest and most valuable collection of signatures, photographs, and memories in the world. Among all the famous figures, one of the first most well-know guests were Nicolás Guillén, a national poet and Alejo Carpeintier, who was an extraordinary writer. The period of 50´s was especially significant as many famous artist such as Nat King Cole, Ernest Hemingway, the Nobel prize winner, Brigitte Bardot, Sophia Loren, Spencer Tracy, Errol Flynn, Agustín Lara or Mario Moren started visiting the restaurant. Untill now, this little authentic cuban world, such a hospitable and cheerful place, still keeps welcoming guests from all over the world and remains a favourite place for worldwide celebrities who come to our „Isla Grande“ (the Great Island). I wish to receive information on the latest restaurant offers.With this service, you will be informed of the update restaurant offers, which will be sent to your stated email address. Address: 1074 Budapest, Dob str. 57.